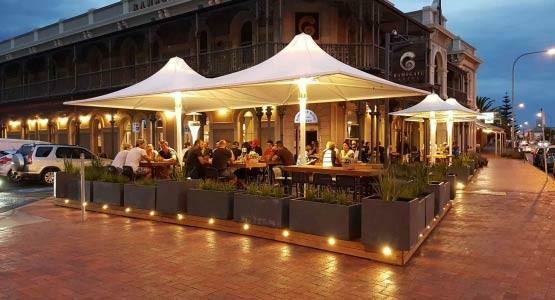 When the weather’s nice, getting outdoors and relaxing in the warm sun is a wonderful feeling. 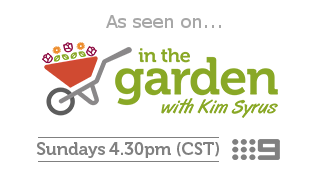 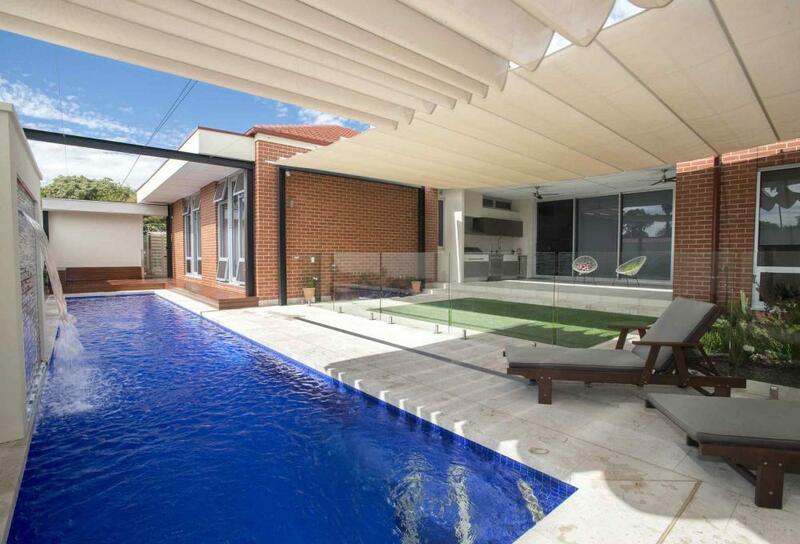 In Australian climates, however, the sun can make outside areas unbearable without adequate shading. 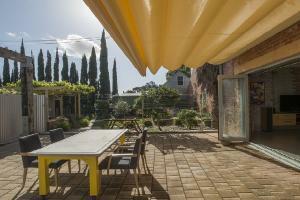 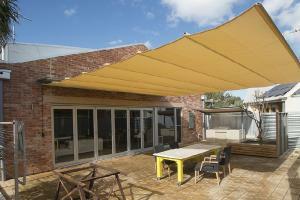 In order to protect against this, Shadeform have developed a long lasting and stylish retractable shade sail system. 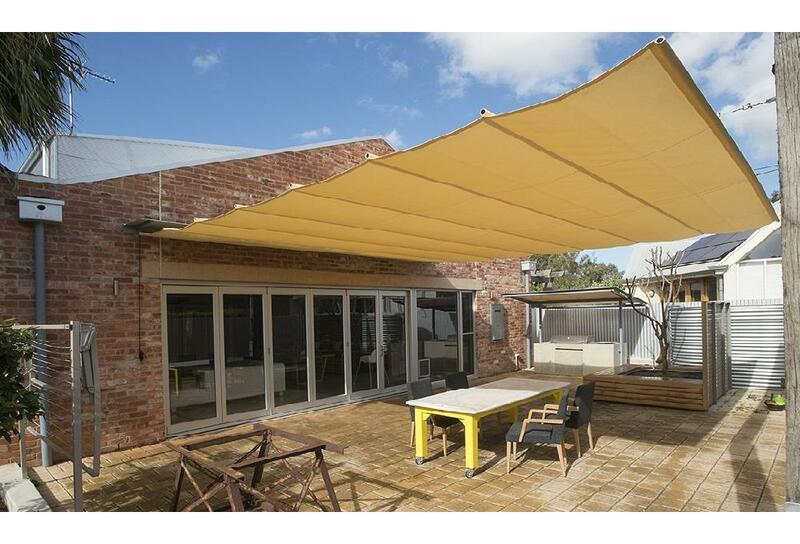 Retractable shade has never been easier! 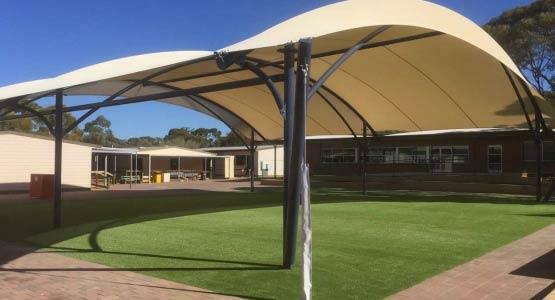 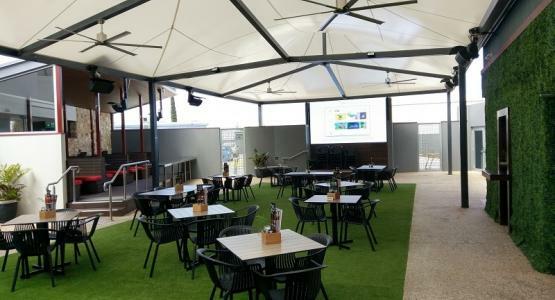 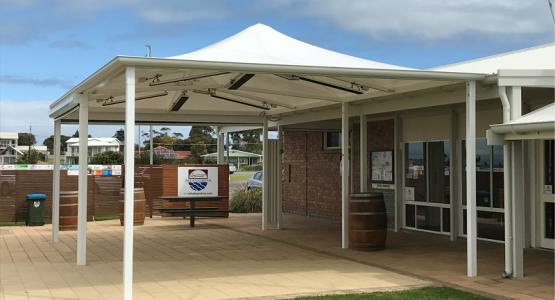 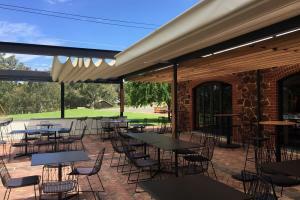 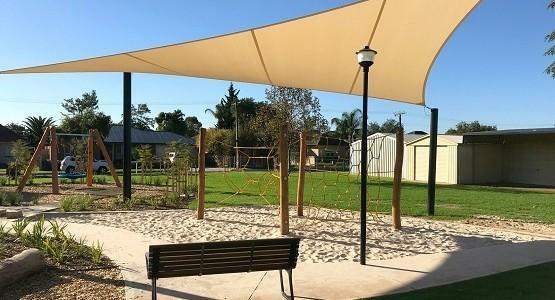 An Australian made retractable sun shade, the Shaderunner® gives you the power to turn down the heat and enjoy your outside area no matter what the weather’s doing. 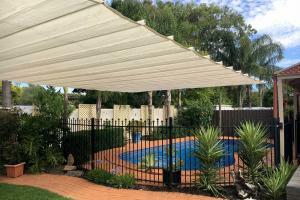 When it’s hot, the Shaderunner® is extended to create fantastic cover with up to 95% UV protection. 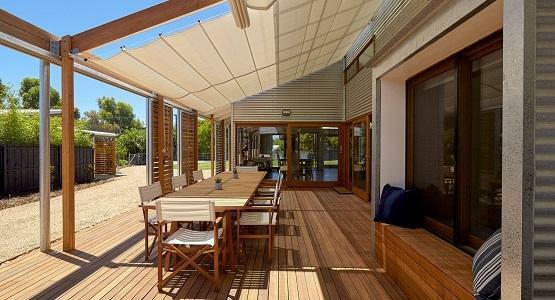 Then on colder days it can neatly fold away to allow the natural sunlight and warmth in. 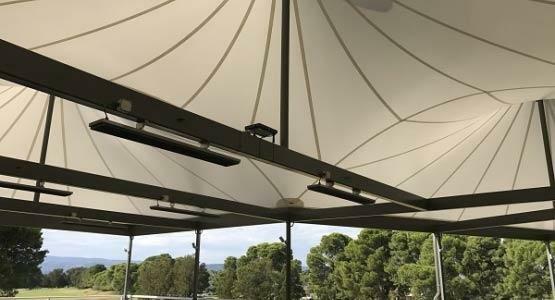 Having the flexibility to control the amount of shading you have at any one time, makes the Shaderunner® a fantastic all-purpose shade. 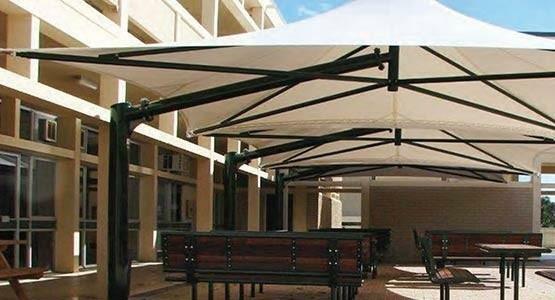 Waterproof fabric options make it an affordable solution for rain protection too. 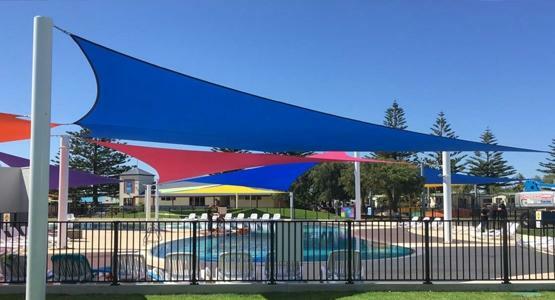 If you want to maximize the usage of your outside space and add value to your home or business, then install a Shaderunner® Retractable Sail today. 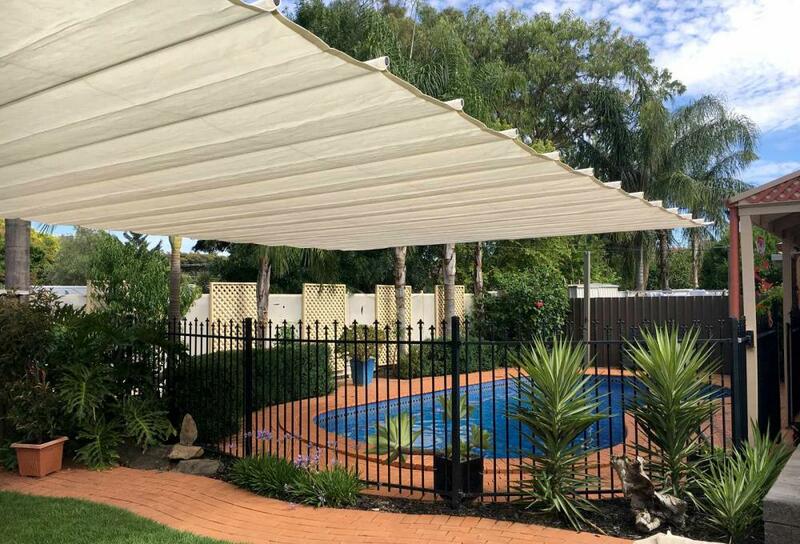 Manufactured using high quality mesh and PVC fabrics, with marine-grade stainless steel fixings and fittings, you can be rest assured that the Shaderunner® will stand the test of time. 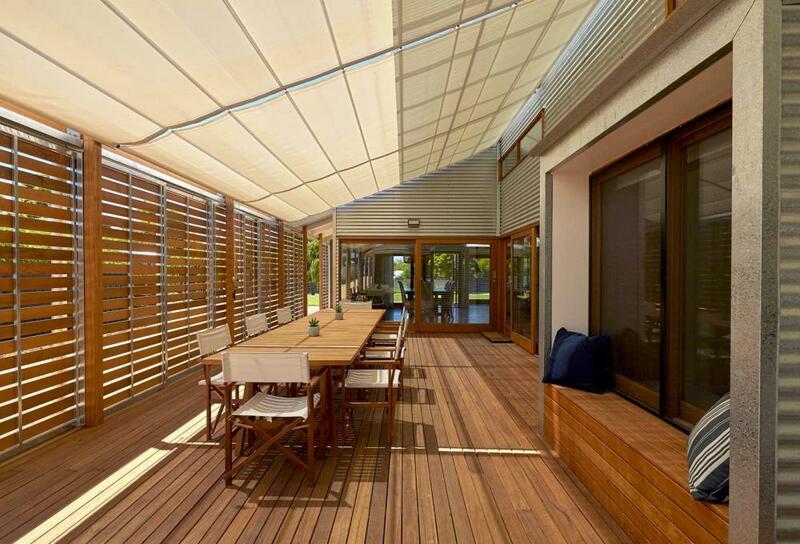 The canopy itself is comprised of rectangular fabric panels, with aluminum cross battens for support. All-together this creates a one of a kind "retractable shade cloth". Connected by marine grade pulleys and suspended from stainless steel guide wires, the canopy concertinas in and out by pulling a simple control cord. 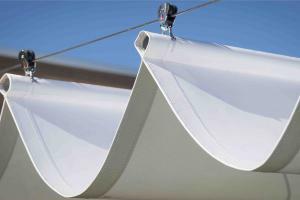 The Shaderunner® retractable shade sail has an incredible span making it perfect for large scale applications. 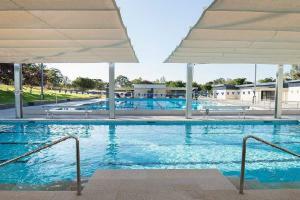 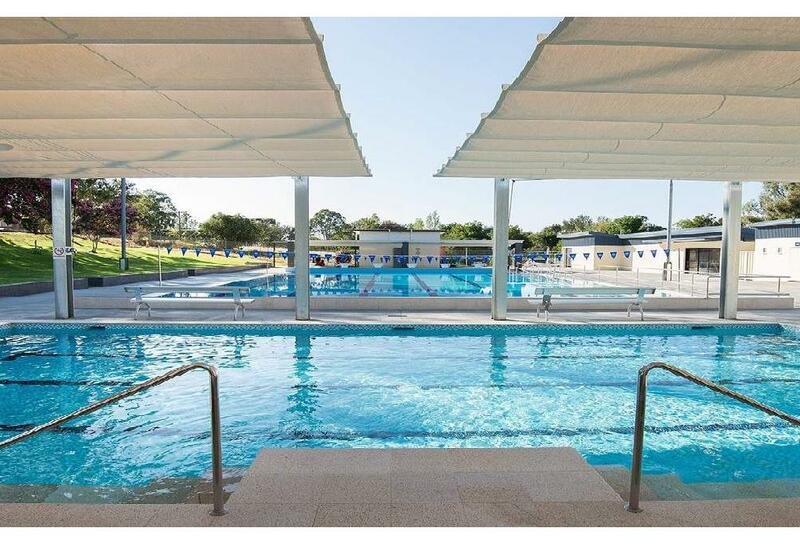 Public swimming pools, mining sites, employee lunch areas and other open space environments are just some of the applications where installing the Shaderunner® will allow you to enjoy your space in the sunshine. 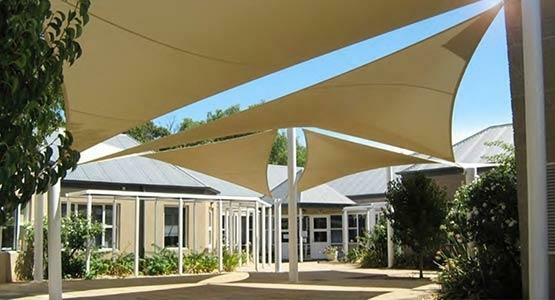 Shadeform’s design, drafting, and 3D drawing services allow for simple and effective communication, minimal lead times, and a smooth project from start to finish. 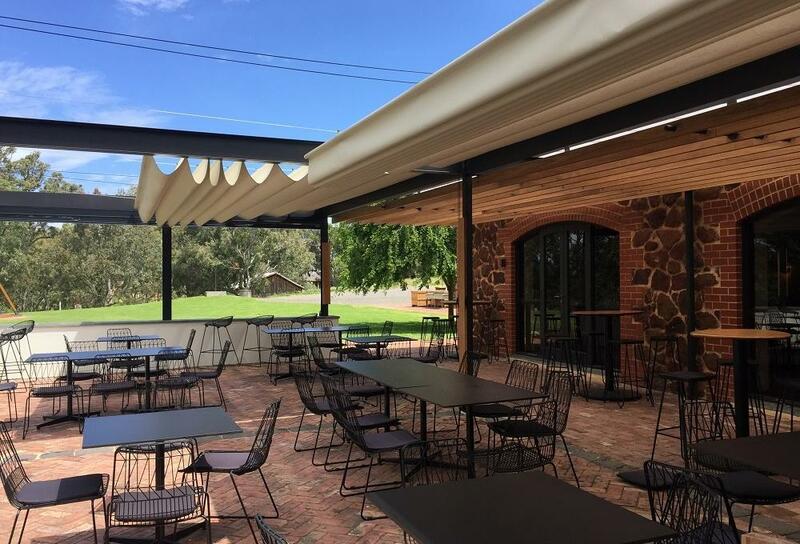 25 years experience in commercial projects, a long list of professional in-house services, and a 100% family owned and operated team, all-together give us at Shadeform the ability to deliver a fantastic end result to you.